The Stash Strap is the perfect solutions for those that need fake urine strap holder to conceal their Quick Fix Plus Synthetic Urine urine bottles or any other valuables you’re looking to stash. If you've been worrying about where you'll hide the bottle or if the bottle will fall from their hiding spots we recommend you purchase the The Stash Strap. The Stash Strap is made from a high quality Neoprene that is designed to stretch to most leg sizes, feel comfortable, and won’t slide or slip off your thigh . This is the perfect solution for those that are looking for a way to comfortably store their synthetic urine bottle unnoticeable without drawing any attention to yourself. Works for the Quick Fix Plus Synthetic Urine and Quick Fix Synthetic Urine. 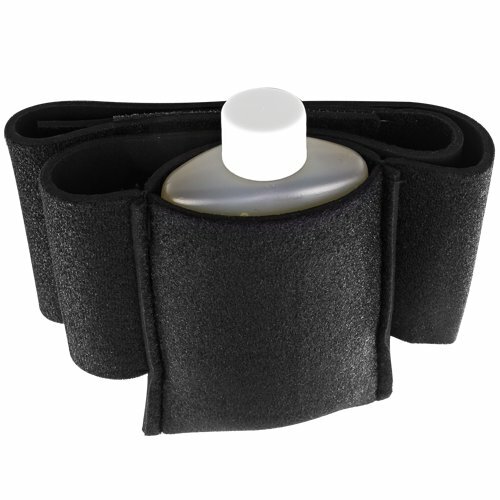 Neoprene materials makes wearing it for long periods of time very comfortable. Helps keep your bottle warm longer! Adjustable and would fit most thigh sizes.